June 22: “Motian in Motion” – Sound It Out! 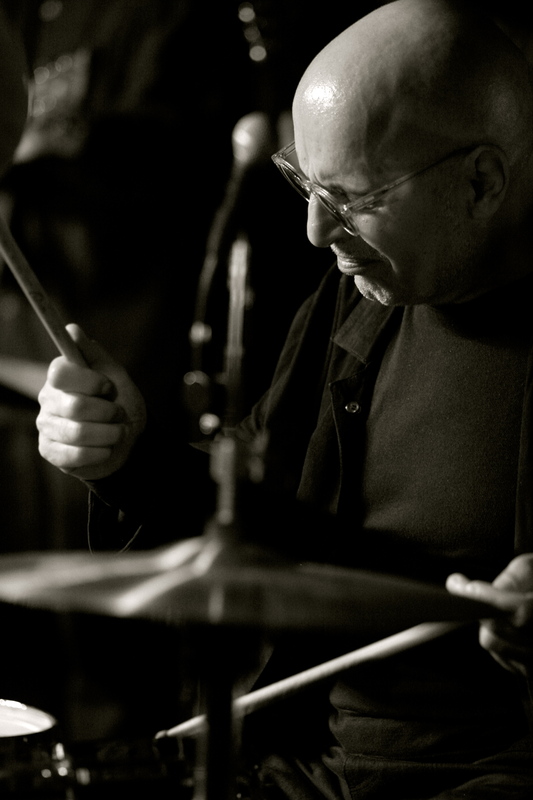 Few musicians exerted a more iconic influence on the jazz of the 21st century than the late, great drummer-composer Paul Motian. His legacy stretches from early days drumming in the original Bill Evans Trio and with Keith Jarrett’s American Quartet to his later star trio with Bill Frisell & Joe Lovano and his youthful Electric Be-Bop Band. Moreover, Motian’s decades in the music yielded a rich book of evocative compositions, his sound and sensibility as unique as a fingerprint: : “It Should’ve Happened a Long Time Ago,” “Conception Vessel,” “Sunflower,” “Drum Music,” and so on. This concert – the first of four special events celebrating the fifth-anniversary month of the Sound It Out series – will be an all-star tribute to Motian’s music-making, with performances by an incredible revolving band including alto saxophonists Michaël Attias and Loren Stillman, trumpeter Ralph Alessi, tenor saxophonists Dan Blake and Adam Kolker, pianists Frank Kimbrough, Russ Lossing and Jacob Sacks, guitarists André Matos and Ricardo Grilli, and bassists Sean Conly and Chris Lightcap – plus featured drummers Satoshi Takeishi, Jeff Davis, Vinnie Sperrazza, Harris Eisenstadt, Billy Mintz and Francisco Mela. Ticket proceeds will go to help fund Greenwich House Music School, whose wonderful hospitality makes Sound It Out possible.